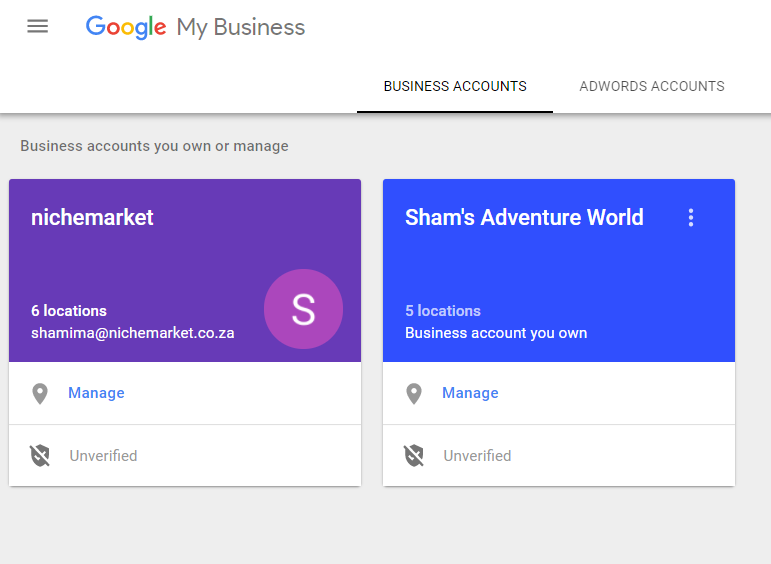 Over the past few months, we have seen the Google My Business (GMB) and Google Plus platforms undergo numerous updates and changes. Most of these updates were associated with UI (User Interface) and technical changes. As a result, Google's help documentation has not yet been updated to reflect the additional steps to complete small tasks such as adding ownership to an existing account or optimise My business Listings to its full potential (Tsk, Tsk Google. that's a Rookie Mistake!). As digital marketing practitioners, we are so used the constant evolution of these platforms that we automatically adapt to changing our behaviour without even noticing. But as a business specialising in your own niche, these changes don't always make the most sense to you. nichemarket have been receiving numerous requests from clients, confused about the process when we sent them the standard instruction links to Google's documentation. Each User roles hs different levels of capabilities which allow an owner to share management of a listing with multiple people without having to share personal account information. Each listing can have multiple owners, but only one primary owner. Owners and primary owners have the same capabilities, but a primary owner can't remove themselves from a listing until they transfer their primary ownership to another user. Managers have all of the capabilities of an owner, except for particularly sensitive capabilities such as removing the listing or managing access to it. Sign into Google My Business. 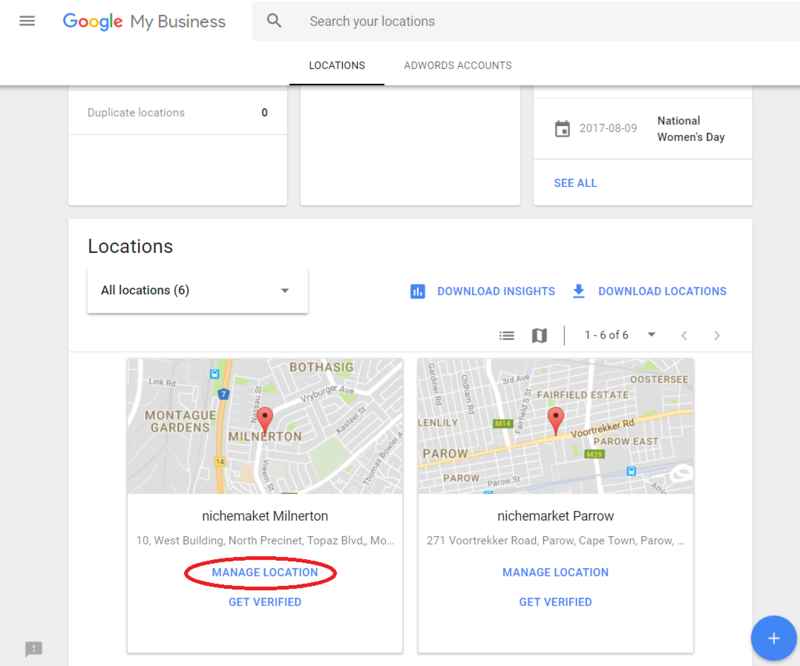 Make sure you logged into the correct account if your Google My Business listings are not associated with your default google account on your browser. If you have a buiness account, choose it from the home screen. Skip this step if you do not have a business account. The listing settings will open, from the lef-side menu select users. This window displays all active owners and managers, as well as people who have been invited to become owners or managers. You can cancel pending invitations by clicking the X in the row with the invitation you want to remove. When an invitation is accepted, the owners of the listing will be notified via email. All users in the account can view the names and email addresses of the owners and managers of the listing. From the location list, find the listing in question and select manage location. The listing settings will open, from the left-side menu select users. When a user is removed, they'll be notified via email. When you remove a user, that person will no longer be able to edit business information or take any administrative actions for the listing. However, all of their past responses to reviews, posts, comments, and other actions will remain intact.